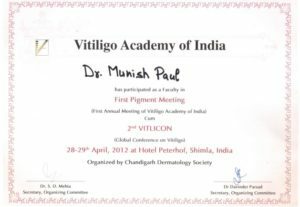 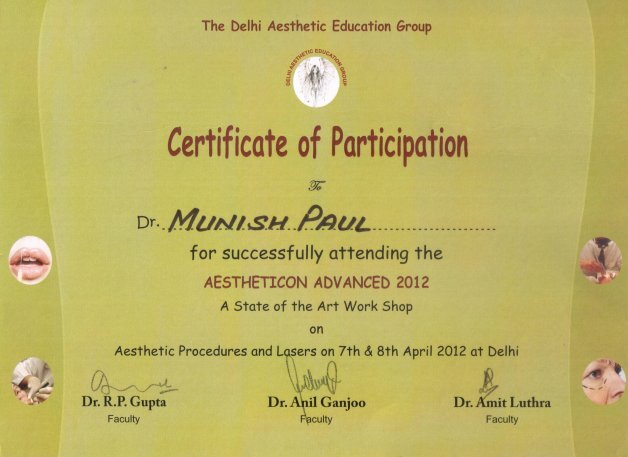 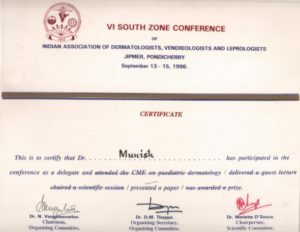 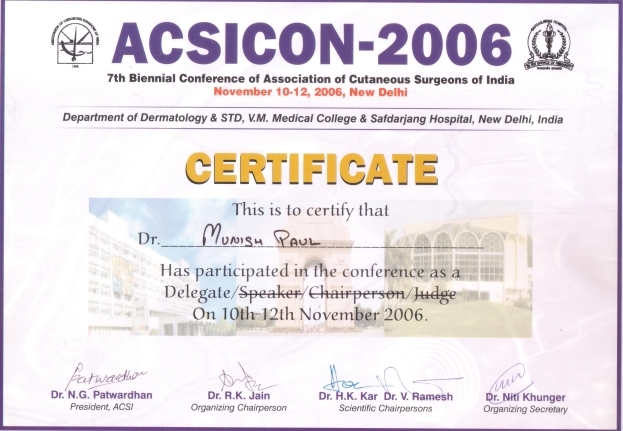 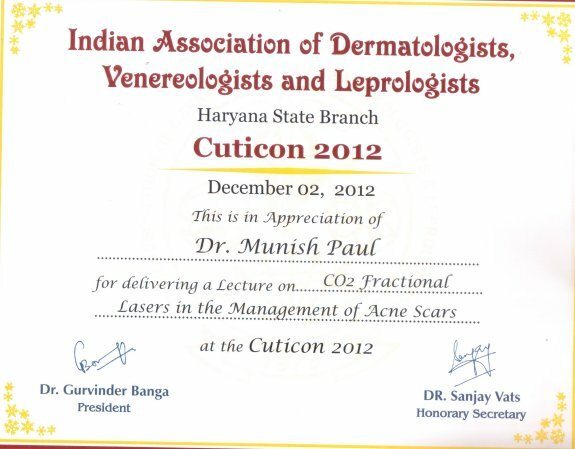 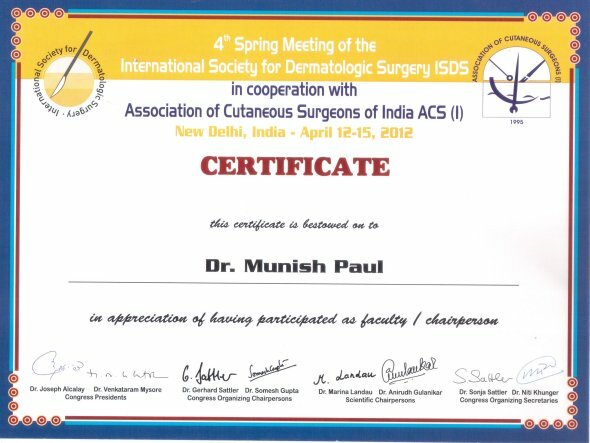 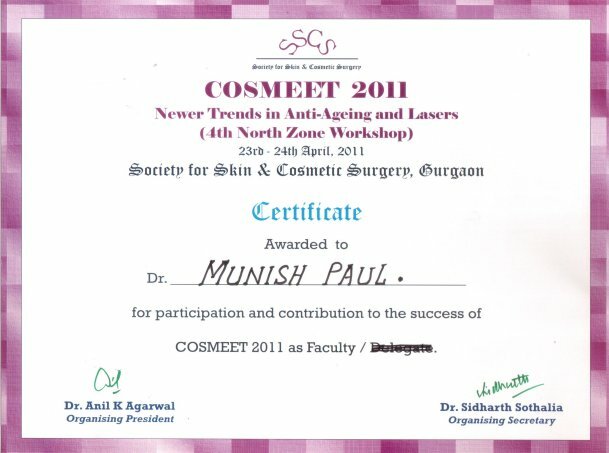 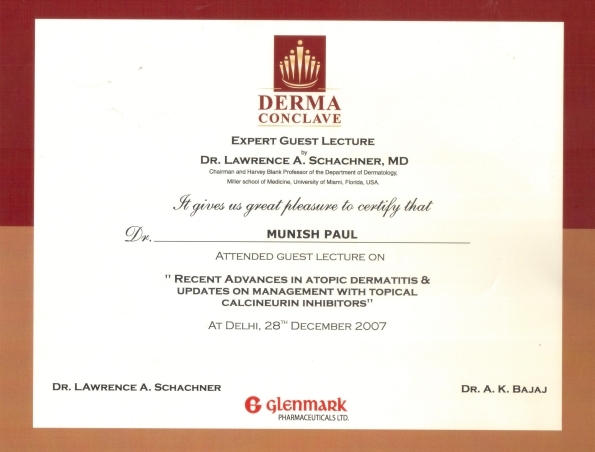 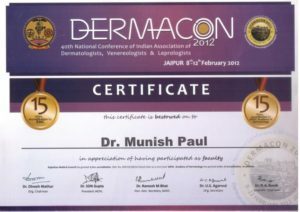 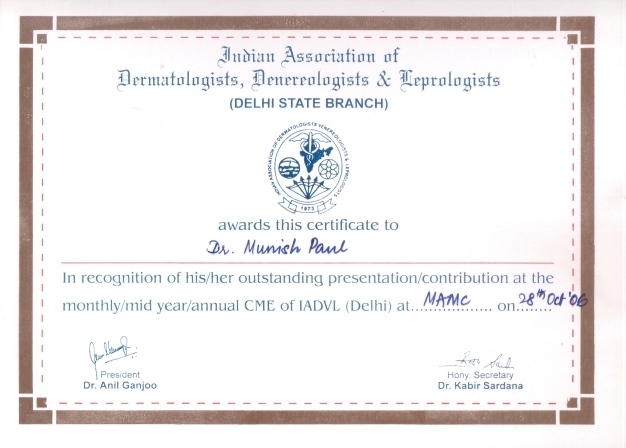 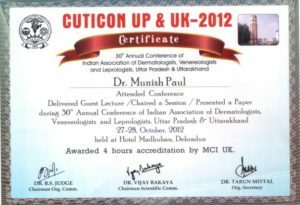 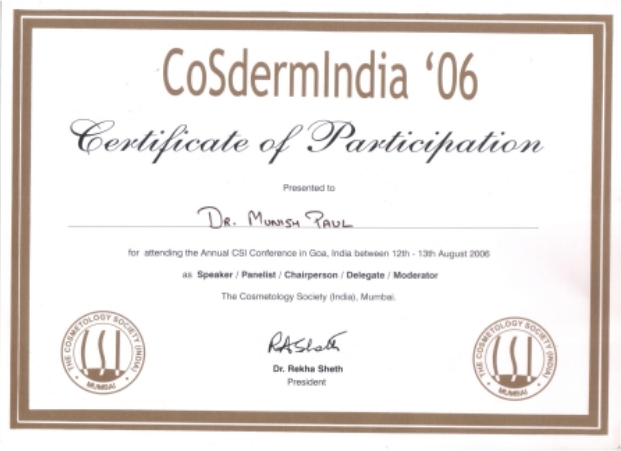 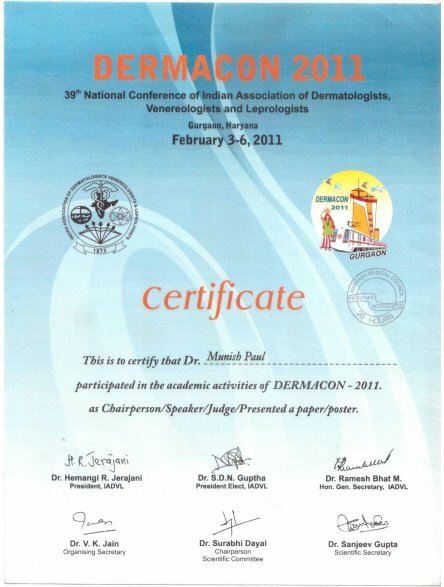 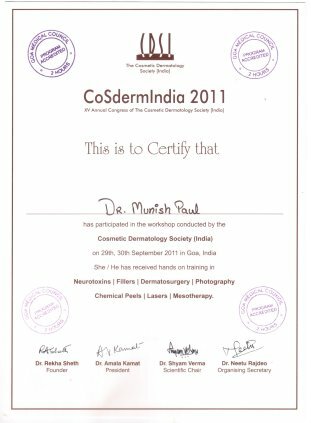 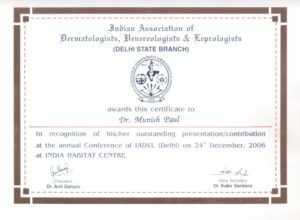 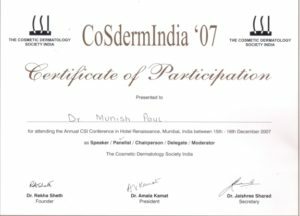 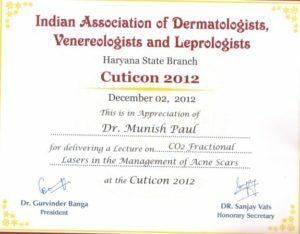 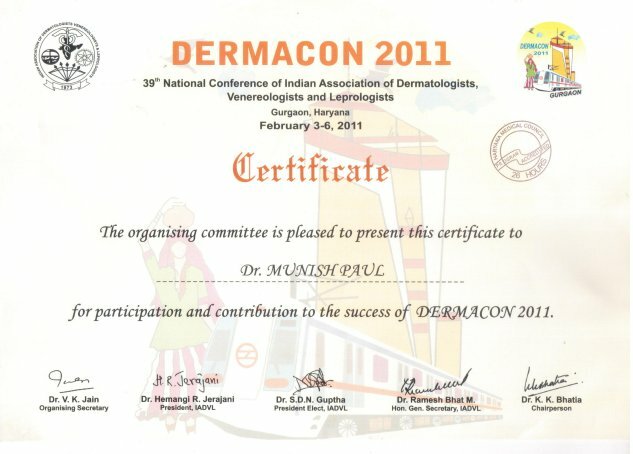 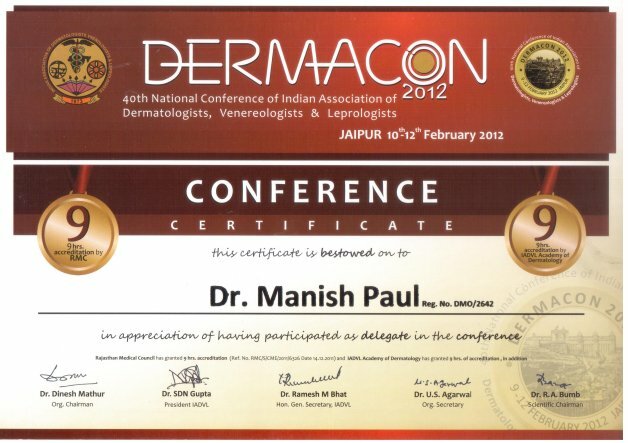 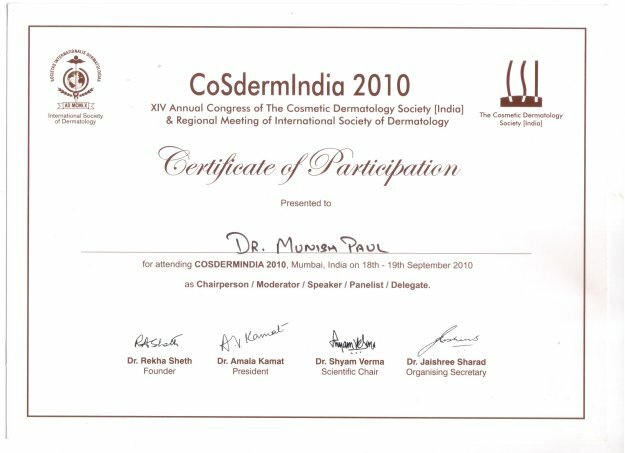 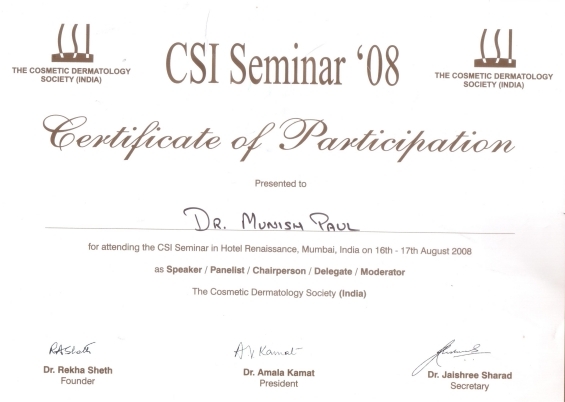 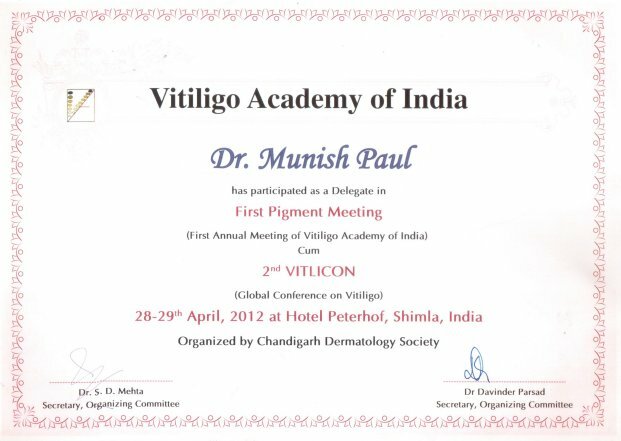 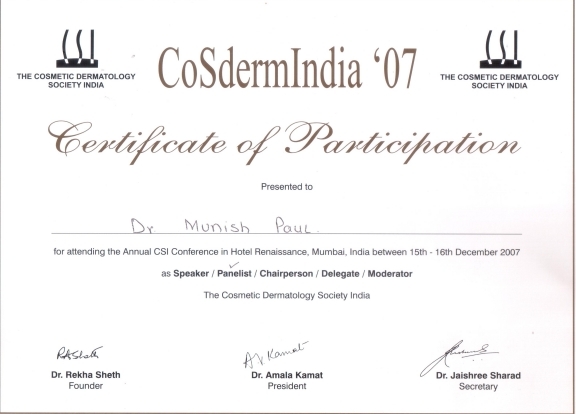 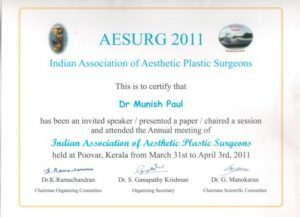 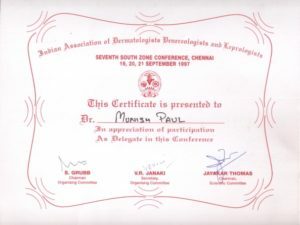 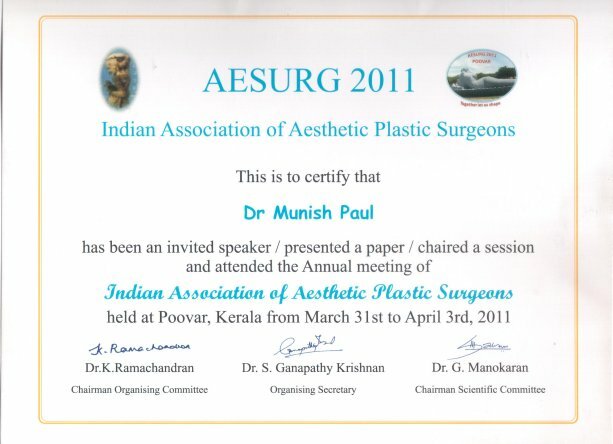 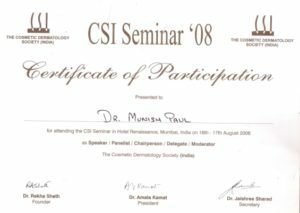 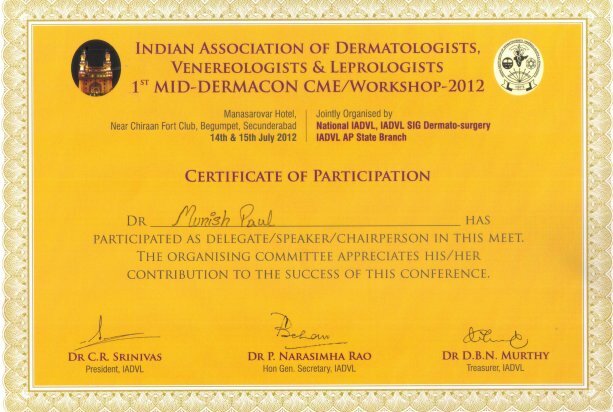 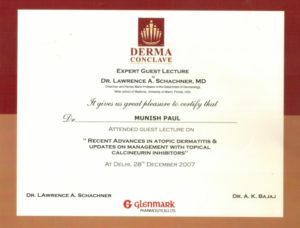 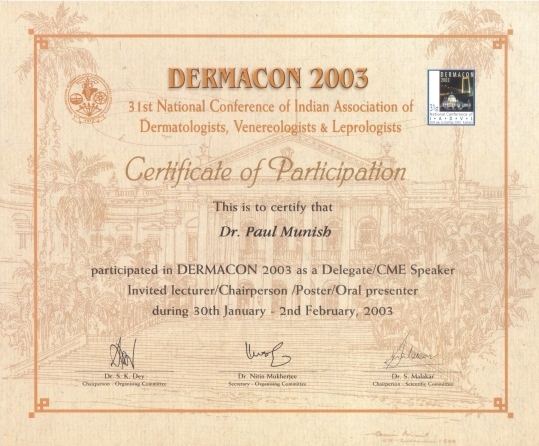 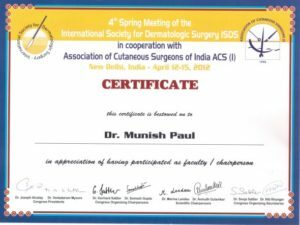 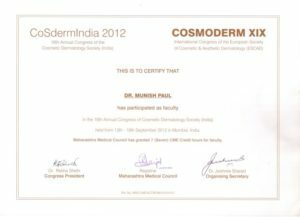 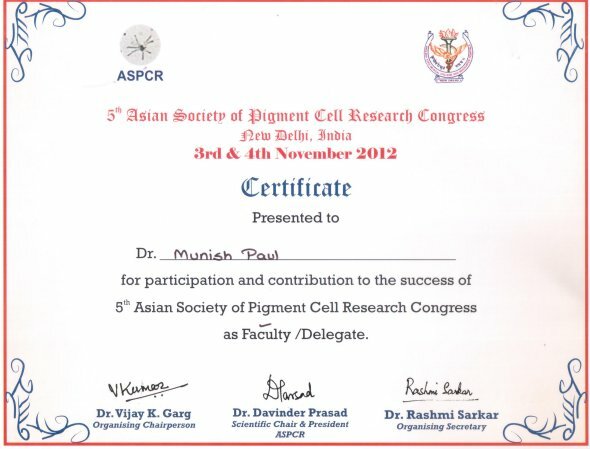 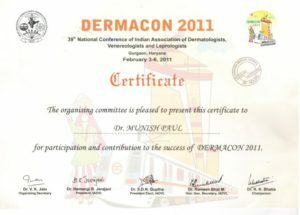 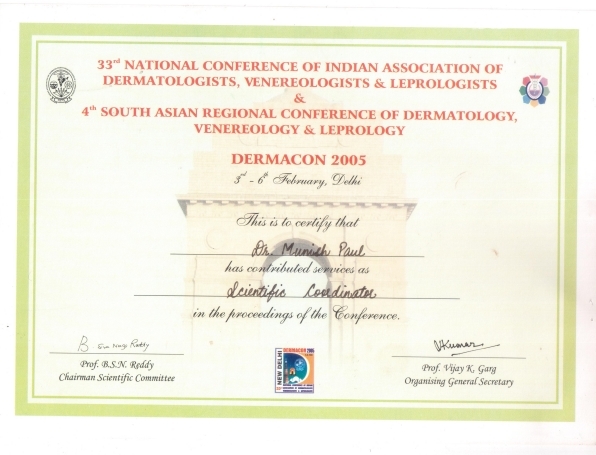 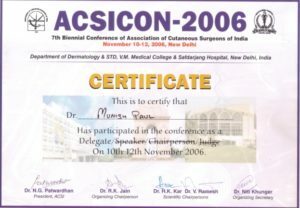 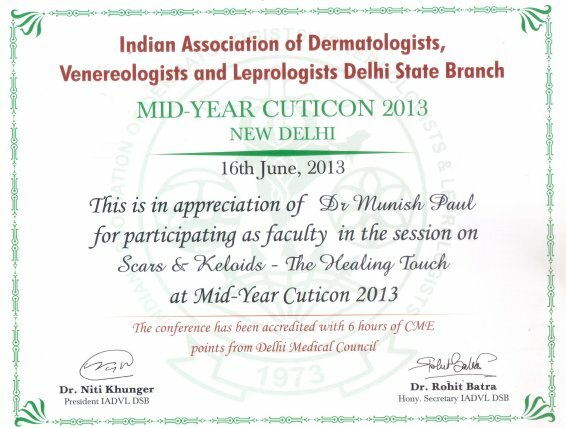 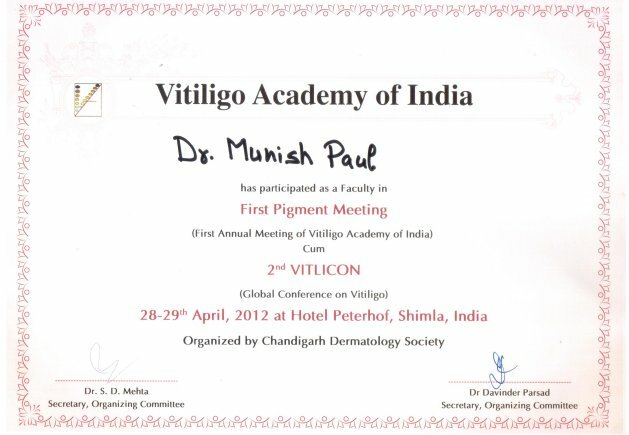 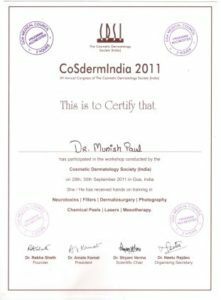 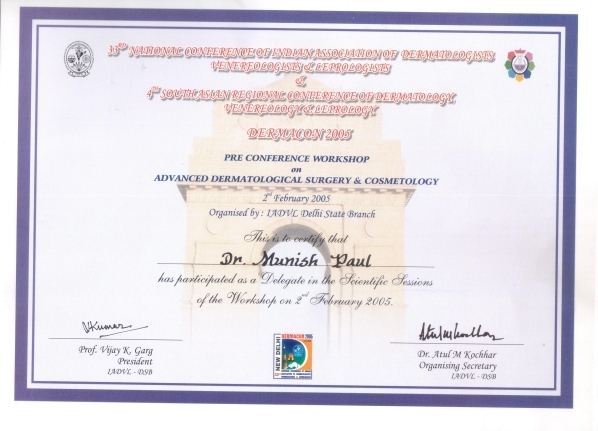 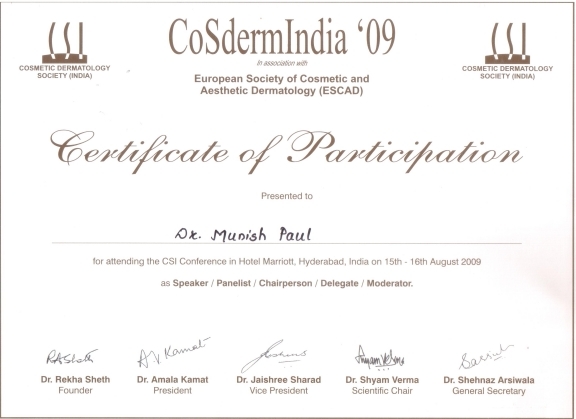 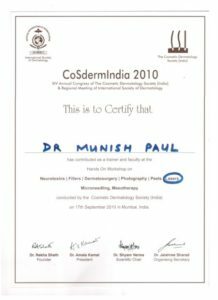 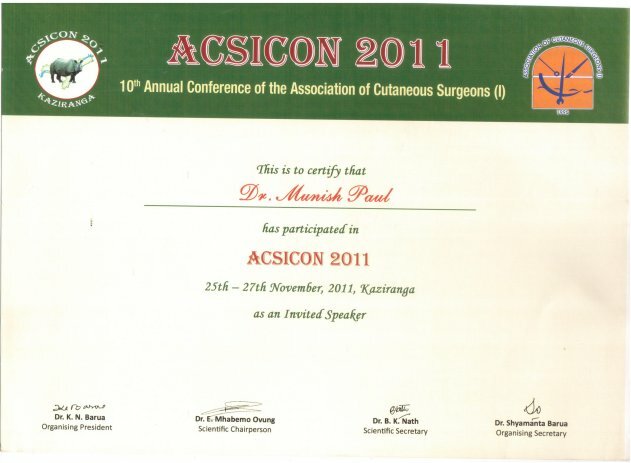 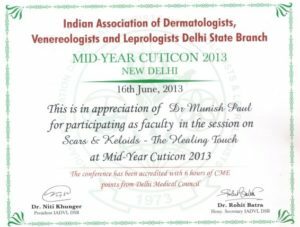 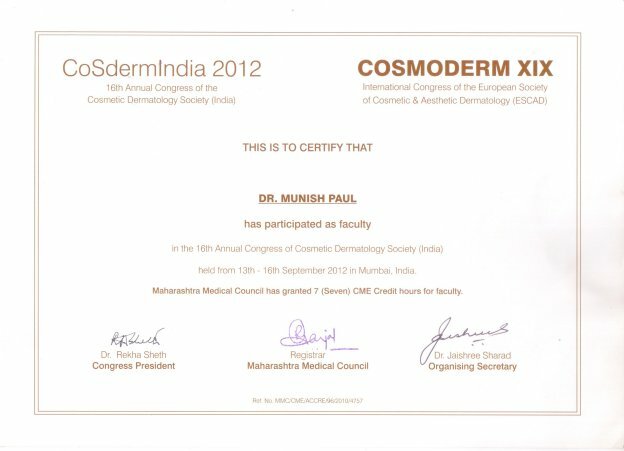 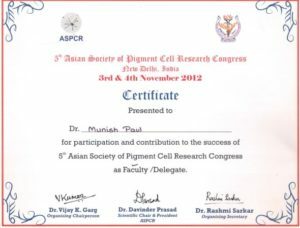 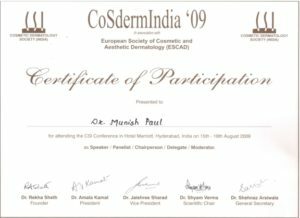 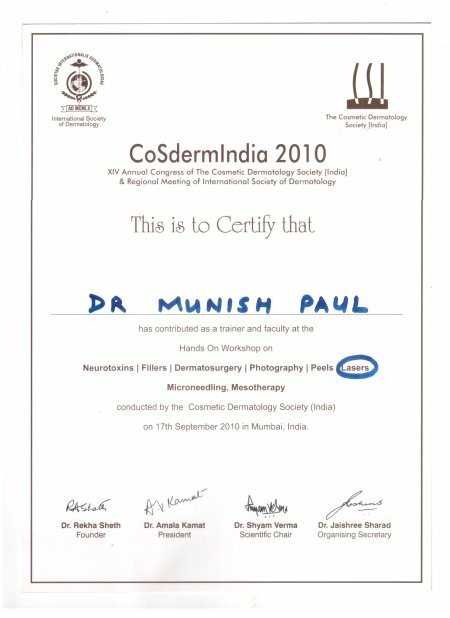 Dr. Munish Paul is an experienced Dermatologist in Paschim Vihar and practices at Skin Laser Centre in Paschim Vihar. 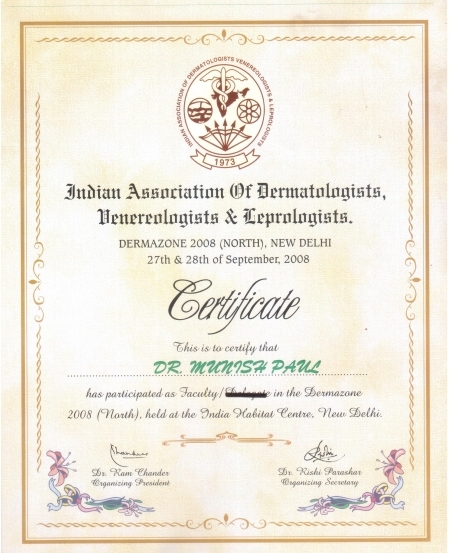 He has over 22 years of experience as a Dermatologist. 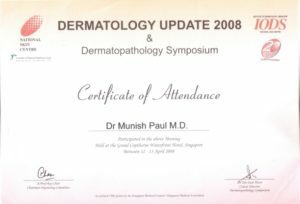 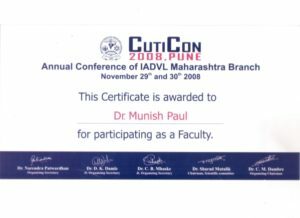 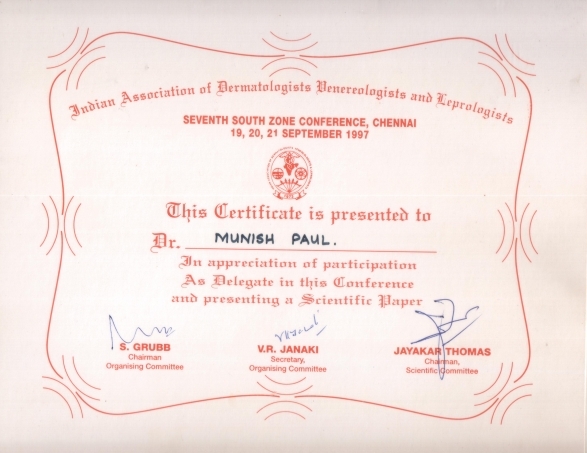 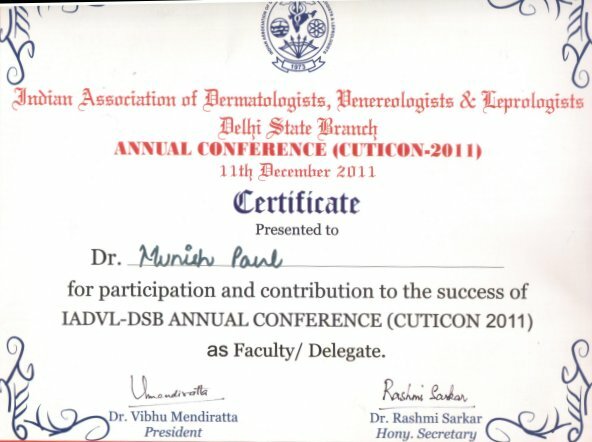 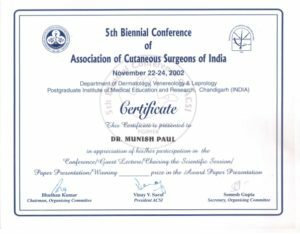 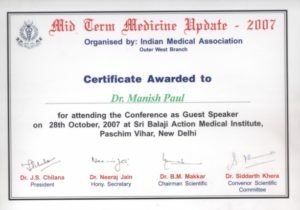 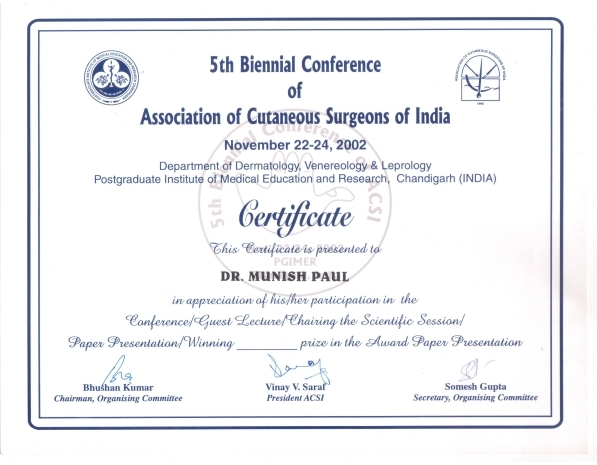 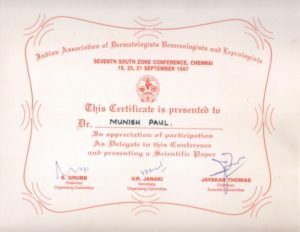 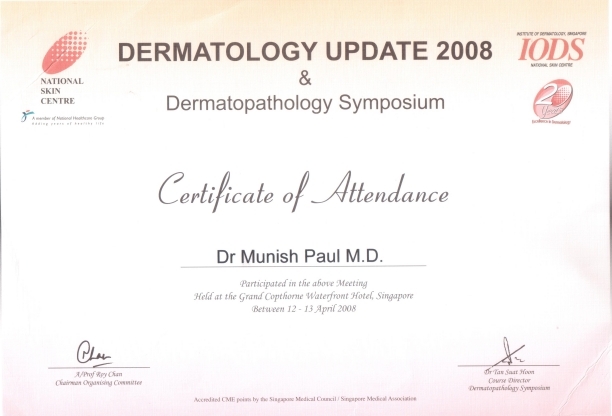 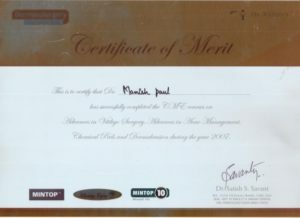 Dr. Munish Paul is a qualified MD-Dermetology. 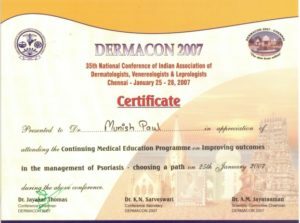 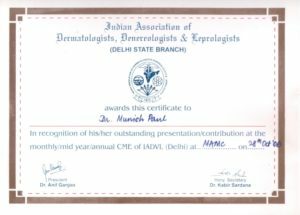 He has expertise in Melasma Treatment, Wart Removal, Laser Hair Removal, Fillers, Mole Grafting, Skin Polishing, Anti Ageing (Peel, Polishing Lasers), Derma Roller, Glycolic Peel, Skin Peeling etc. 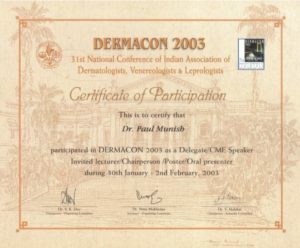 He began his higher education at Kasturba Medical College, Manipal, where he received his Bachelor of Medicine & Grafting Degree in first class. 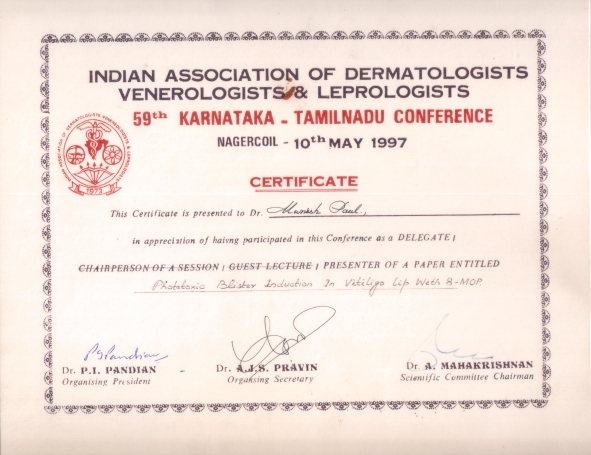 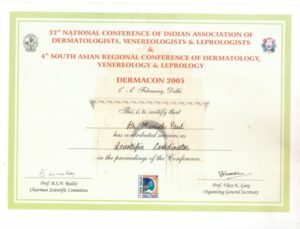 He went on to complete his MD in Dermatology from the Dept. 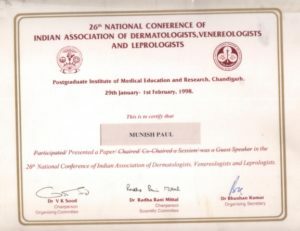 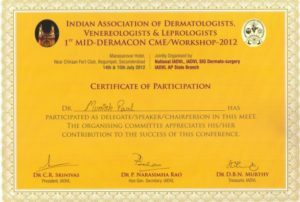 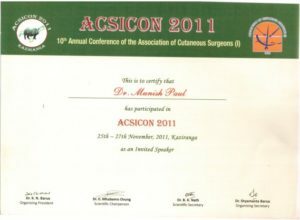 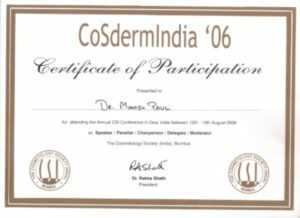 of Skin and STD, MAHE University Manipal. 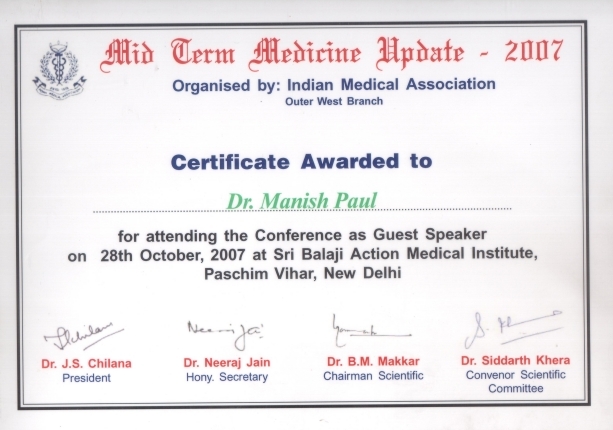 And then underwent extensive training in St. John’s Medical College and Hospital and Manipal Hospital at Bangalore. 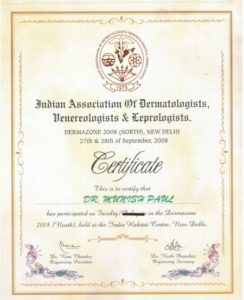 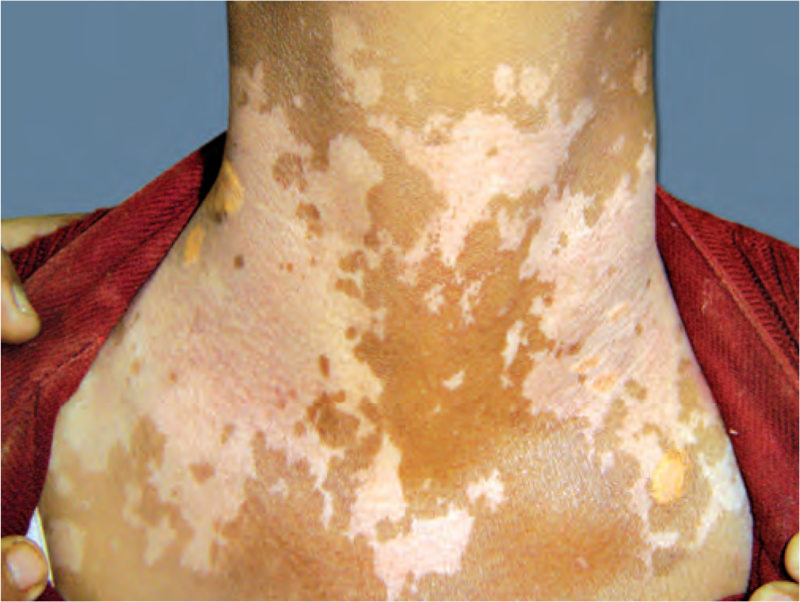 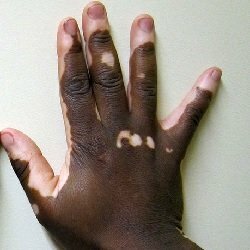 His special areas of interests include dermato-grafting, cutaneous resurfacing with Erbium-YAG laser, melanocyte cell transplantation for vitiligo, rejuvenation of the aging skin. 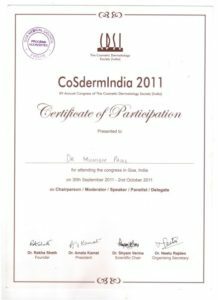 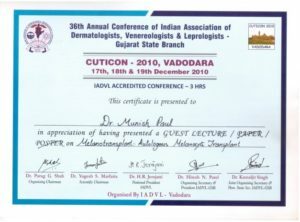 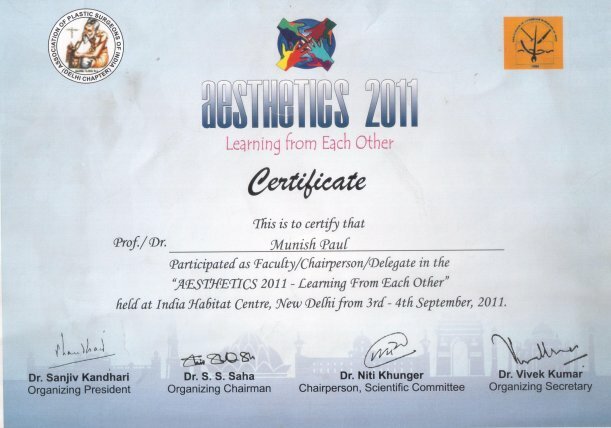 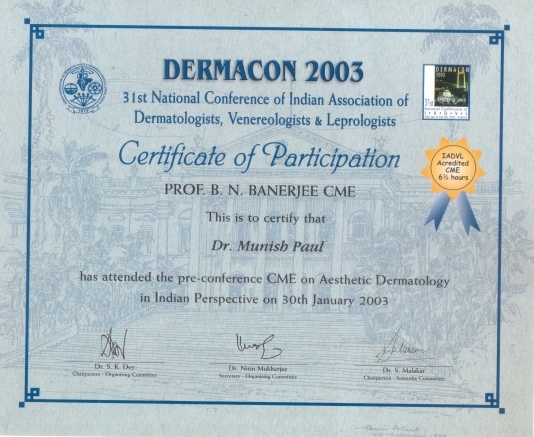 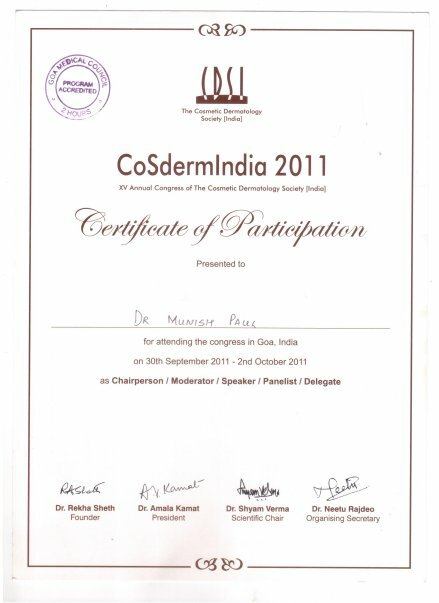 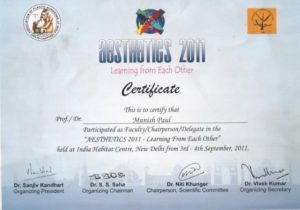 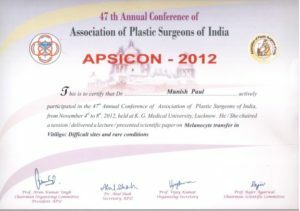 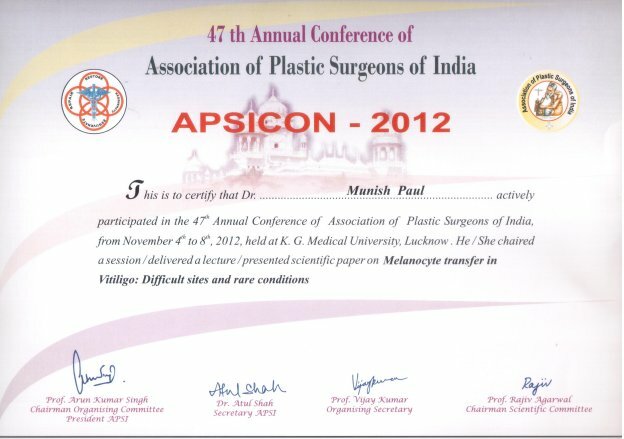 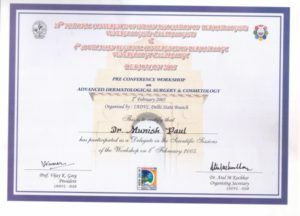 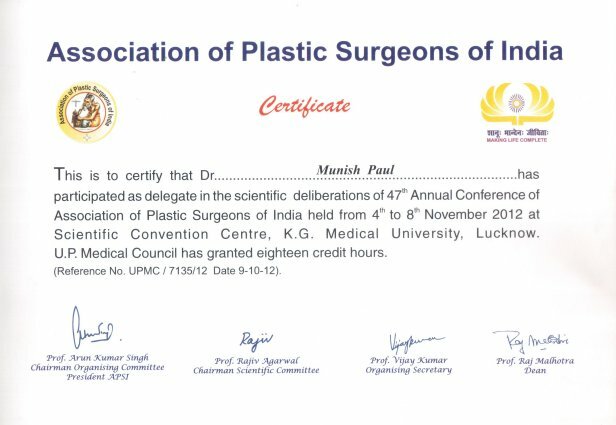 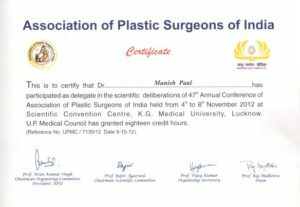 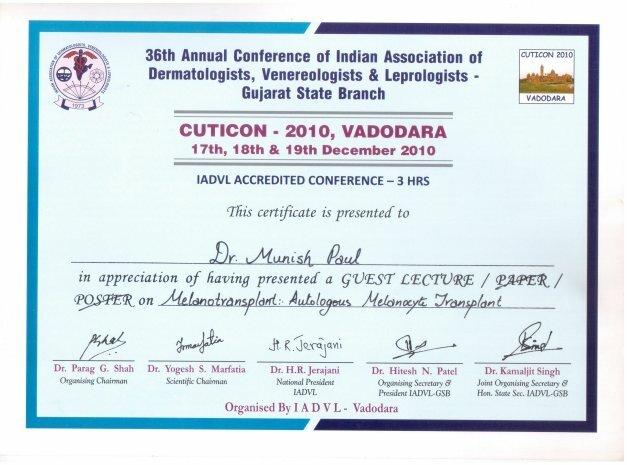 He has conducted instructional course for Dermatologists & Plastic surgeons for Aesthetic laser update, bed side clinical classes for Junior Post Graduate students, bed side clinical classes for MBBS under Graduate students and didactic Lectures for students of Physiotherapy. 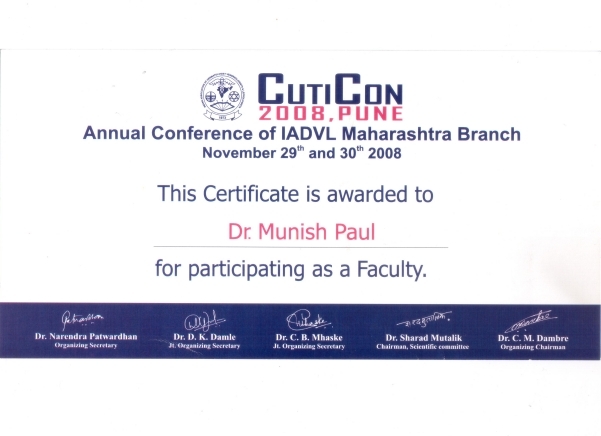 He has presented seminars & journal clubs after conducting search and collecting information from standard sources such as journals, text books, manuals and new sources as CD-Rom Libraries and Internet. 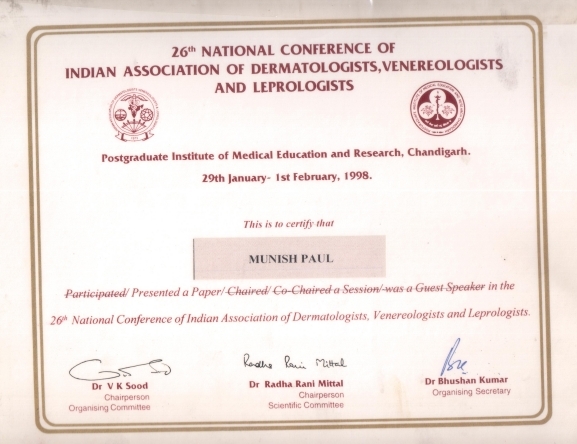 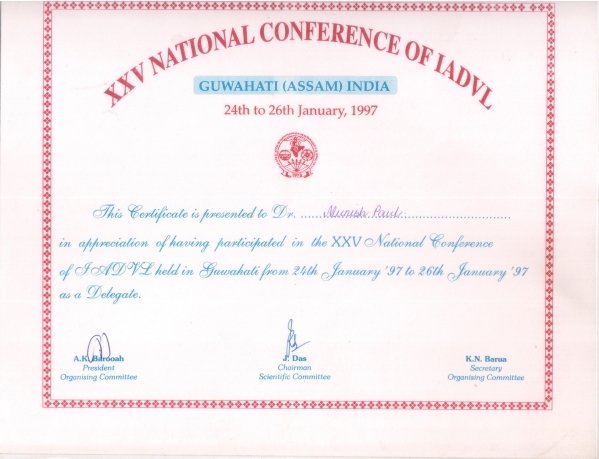 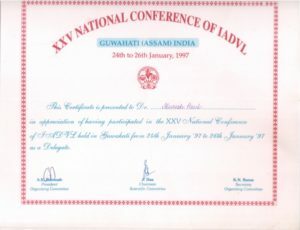 Fellow of Academy of General Education, Manipal, India 1998. 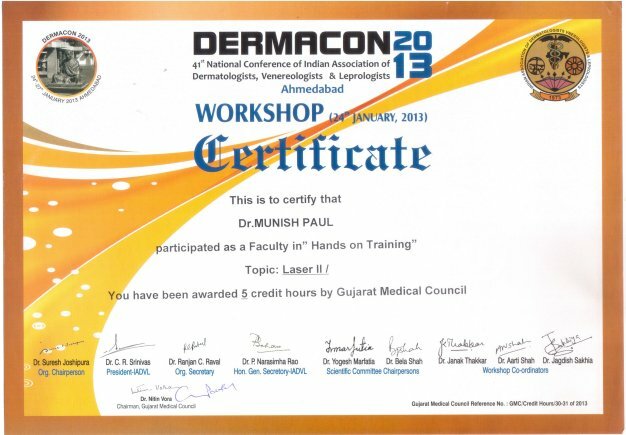 Erbium -YAG laser for skin resurfacing of acne scars, DPN , actinic keratosis, rhytides etc. 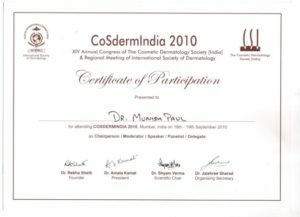 Carbon –dioxide laser for cutaneous resurfacing and tissue ablation. 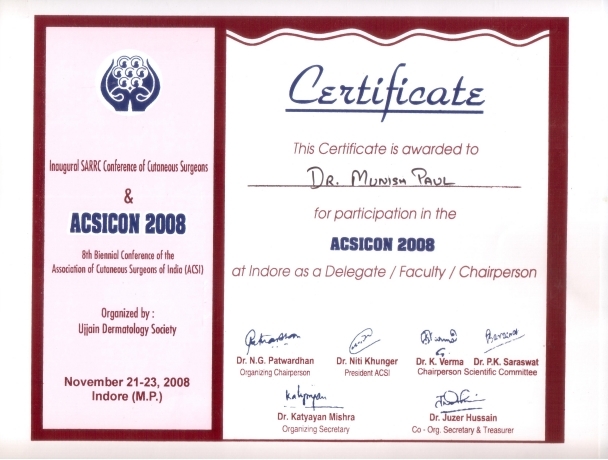 Soft laser i.e. 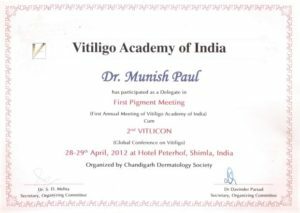 Bio-stimulation with Gallium-arsenide & Helium-neon laser in the management of wound healing and pigmentary disorders.